The NBA 2K League have announced The Atlanta Hawks, Brooklyn Nets, Los Angeles Lakers and Minnesota Timberwolves will be joining the league for its second season. With these four teams added, the count of NBA teams participating is now upped from 17 to 21. This leaves only nine left to join: The Chicago Bulls, Charlotte Hornets, LA Clippers, Denver Nuggets, San Antonio Spurs, Houston Rockets, Oklahoma City Thunder, New Orleans Pelicans and the Phoenix Suns. Donohue has also previously stated to Sports Business Daily he hopes to eventually get the full 30 teams spread out over the next couple of years. Deadline for expansion bids was back in late June and cost $750,000 (£563,000), the same as the inaugural teams. The four new teams, like the first 17, also have committed to a three-year participation in the league. 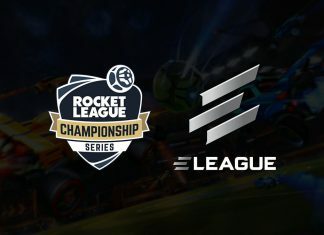 The NBA 2K League began as the “eLeague” announcing plans back in 2017. Since then it has re-branded and held a live draft at Madison Square Garden in New York for the inaugural season. Each of the 17 teams drafted six players, all of which were required to have contracts with teams and salaries between $32,000 (£23,120.80) and $35,000 (£25,307.45). Each team also had to relocate players to their home cities. Weekly league matches are held at the NBA 2K League Studio Powered by Intel in Queens, New York, meaning teams also have to provide transportation for players every week. There are no details yet on rules set for the expansion draft next season. The first season began in May and has had a slow start, holding around 5,000 – 6,000 concurrent viewers but picked up throughout the season thanks to strong marketing campaigns. The second mid-season tournament “The Ticket” reached around 25,000 concurrent viewers with 700,000 unique throughout the tournament. The league continues to get attention from endemic and non-endemic brands like State Farm, Scuf Gaming, Hot Pockets and HyperX. Esports Insider says: Say what you will about the viewership of the 2K League but investors and sponsors are obviously liking what they see. Four team additions is fairly massive in the grand scheme of things for a second season. Donohue’s hope for a 30 team league seems to be coming quicker than we expected.